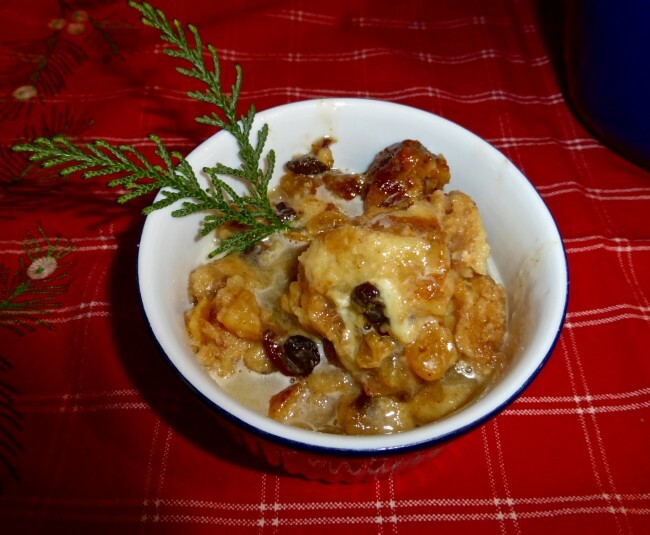 This bread pudding is my most requested dessert for Christmas parties. 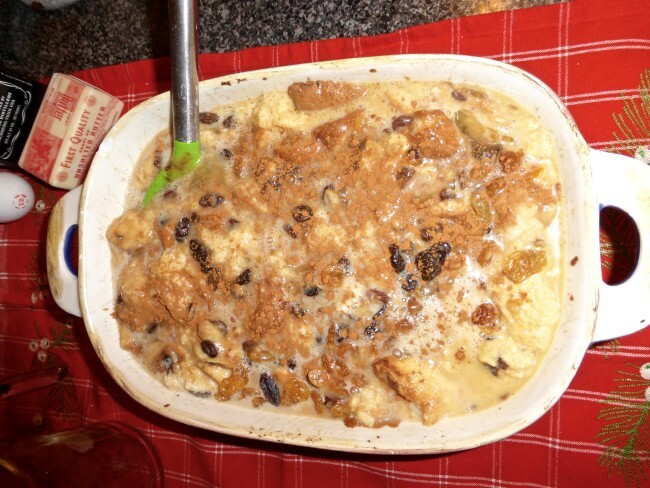 I have no idea why it is called Cajun Bread Pudding, but I do seem to recall it came out of a New Orleans-style cookbook, and that Jack Daniels sauce really “kicks it up a notch.” A 9 x 12 x 4 baking dish works best for this dessert. When I double the recipe for a party, I use a large tin foil roasting pan. 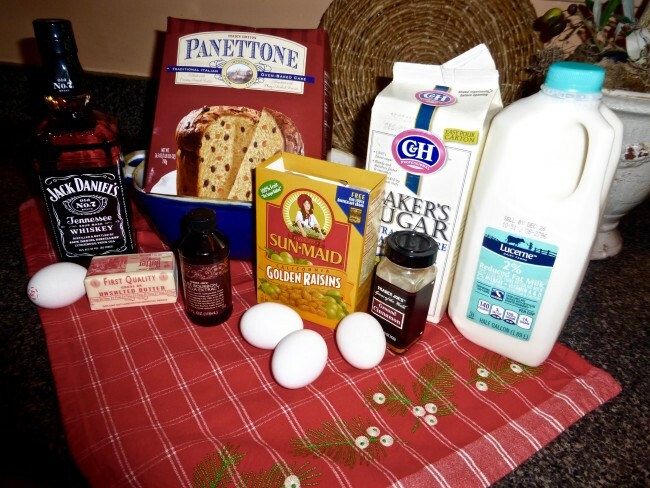 This recipe is not a make-ahead dessert as it is best served warm right out of the oven, but if you assemble all the ingredients ahead of time, it is easy to throw together at the last minute. I put the dry ingredients for the pudding in a large ziplock, so nothing has to be measured when combining. Let this soak for an hour before dinner and then bake while eating, so it is ready to go come dessert time. However, don’t make the mistake I did one year and forget to turn on the oven! 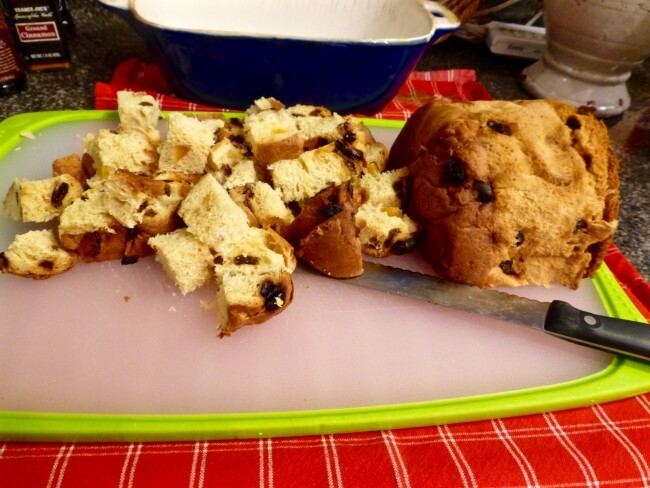 Cube the bread or Panettone and soak in milk for one hour until the liquid is absorbed. If the bread appears too dry, add more milk. If it looks too soggy after an hour, pour off some of the milk. Your goal is to have the bread wet but not soggy. While the bread is soaking, preheat the oven to 350. 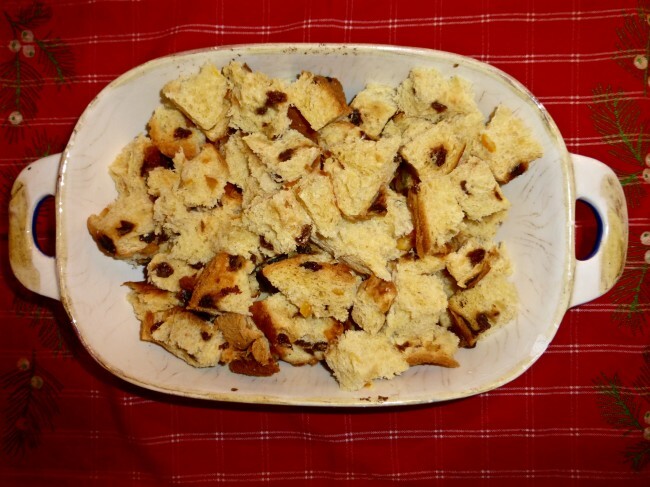 Once the bread is ready, whisk the eggs and vanilla together and combine with the sugar, cinnamon, and raisins in a small bowl. Fold into the bread mixture and mix well. 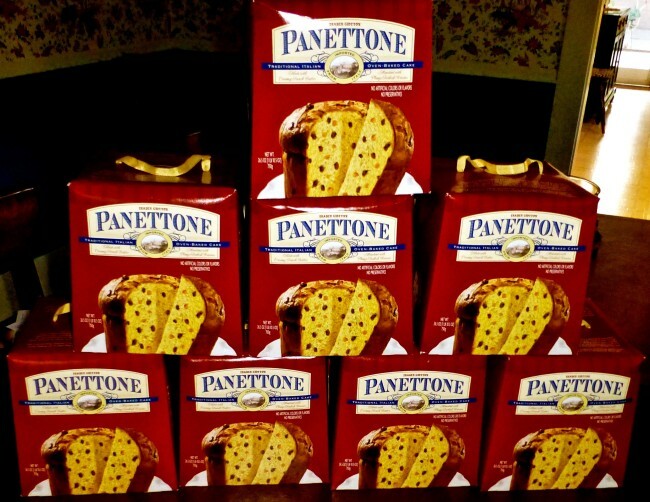 If you are using Panettone instead of French bread, you will need fewer raisins as there is dried fruit already in the panettone. 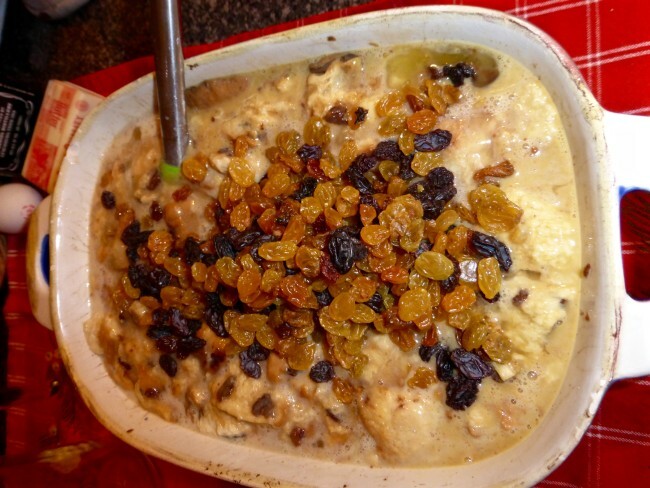 I usually use black raisins, but golden raisins work well too, whichever you have on hand. As for the cinnamon, we really like cinnamon, so I probably put in at least 2 T. I mix the cinnamon into the sugar and just kind of eyeball it until it looks like something I would put on cinnamon toast. Bake 1 hour at 350 degrees until a knife inserted into the pudding comes out clean. Do not overcook or it will be dry. While the pudding is cooling, make your sauce. 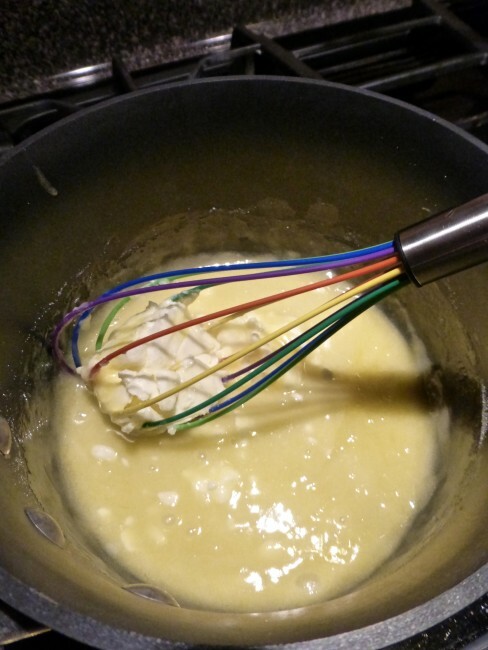 Combine the beaten egg, butter and sugar in a small saucepan over low heat. 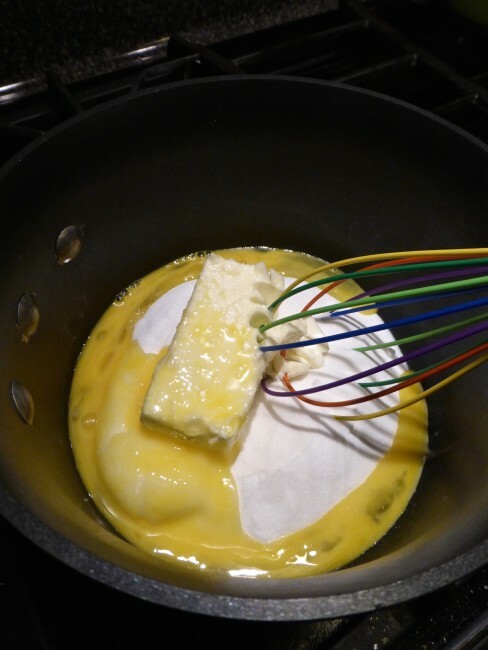 Whisk until melted (Do not use a higher heat or the egg will scramble). When completely melted, remove from heat and allow to cool for 5 minutes. Stir in the Jack Daniels. 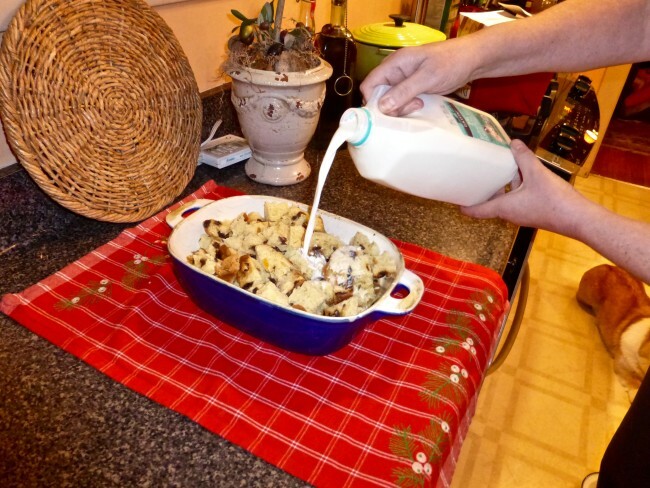 Serve the sauce in a small pitcher or gravy boat so guests can pour as much as they want over the bread pudding. 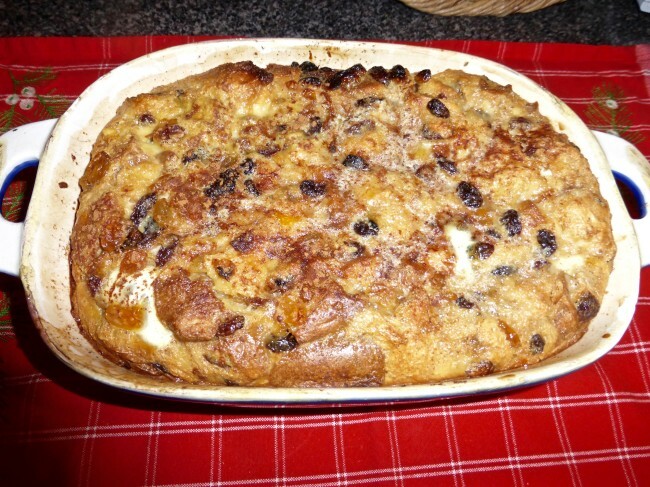 The bread pudding is best served warm and also makes for a great breakfast the next day, too.